Earlier today, the one-two punch of ILoveMakonnen and Ronny J came to the spotlight with a new collaborative single titled “Paper Chase”. 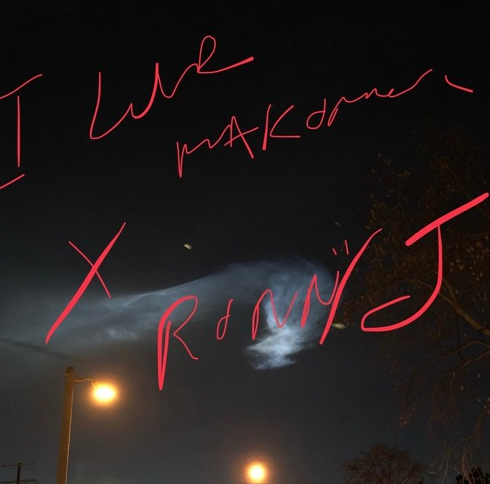 However, just a few hours after dropping their hard-hitting new track, it became clear that the two had even bigger things in store with the release of a 5-track collaborative effort titled ILOVEMAKONNEN X RONNY J. Describing the EP via Twitter, Makonnen was sure to explain the nature of the songs, saying “it’s not a tape, it’s just having us having fun making music for the fans”. The ominous sounds on this one make for quite an interesting listen, as Ronny J’s trunk-rattling bass hits and relentless production seem to cut through Makonnen’s sing-songy vocals and eccentric voice in a complementary manner. Although we may not have seen it coming, this collaboration yielded some dope sounds, so I highly recommend giving it a listen below. Ronny J has been the name behind the boards on a number of hits already in 2018, and it looks like he’s keeping the full court press on with this new serving of heat for the fans alongside one of ATL’s most unique acts out right now.